The aim of the TPO Network Awards is to identify, recognize and share good practices so that all TPOs may benefit. 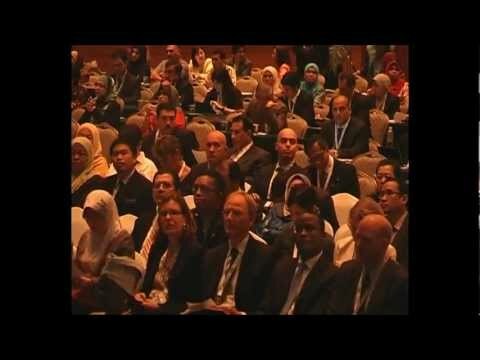 Winners of the 2012 Trade Promotion Organization (TPO) Network Awards were announced on 18 October 2012 during a ceremony at the awards dinner, held at the end of the first day of 9th TPO Network World Conference & Awards in Kuala Lumpur, Malaysia. Winners were recognized for demonstrating outstanding performance in using innovative and effective systems and procedures in their export development initiatives. To allow for more worthy good practices to be shared among the TPO Network, the Adjudicating Panel also recognized second and third place winners in most country categories, as well as a Special Mention award. Least Developed Country category: The Uganda Export Promotion Board (UEPB) received its award of excellence in this category. Second place went to the Zambia Development Agency (ZDA) and third to the Benin Agency for Trade Promotion (AbePEC). Small Island Developing States category: In this category, the Jamaica Promotions Corporation (JAMPRO) came out on top, followed by the Dominican Republic Export and Investment Centre (CEI-RD) in second place. Developing Country category: ProMéxico was found to have excelled in its country category while second and third place recognition went to the Jordan Enterprise Development Corporation (JEDCO) and Dubai Exports respectively. Developed Country category: In this category Advantage Austria was given the highest accolade, followed by the panel’s recognition of Enterprise Lithuania in second and UBIFRANCE third. Panel’s Special Mention Award: Swiss Trade and Invest (OSEC) won the Special Mention award for its Pool of Experts initiative which has sustainably and efficiently optimized OSEC's business model in the provision of effective consulting services. For further information about the awards and the 2012 evalution criteria, please download the 2012 TPO Network Awards application form and guidelines. The next edition of the awards will be held in 2014. The Winners Booklet offers a brief profile of each of the winning Export Development Initiatives and the good practices used by the TPOs that provide them.